Attractive and economical Slim-Line combination calculator digital calendar unit in choice of square-cornered or round-cornered style. Also comes in choice of three finishes: satin clear, satin black or satin bronze. 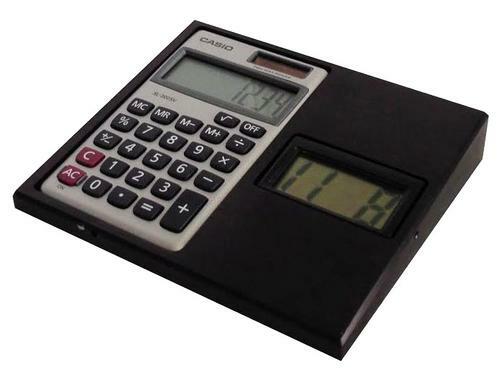 Dimensions: 4" H x 5" W.
Attractive and economical Slim-Line combination calculator-digital calendar unit in choice of square-cornered or round-cornered style. Also comes in choice of three finishes: satin clear, satin black or satin bronze.